Supernatural genre has become everyone's favourite. 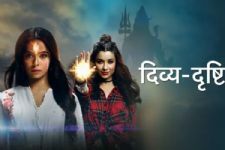 From Naagin 3, Qayamat Ki Raat Hai, Tantra, Sitara to Main Bhi Ardhangini and others, makers are coming up with supernatural shows one after the other. The recent one to join the bandwagon is Divya Drishti. The show is all set to go on air from February 23 replacing Vivek Dahiya-Karishma Tanna's, Qayamat Ki Raat. 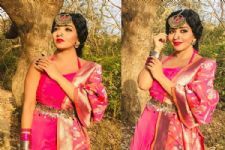 While Adhvik Mahajan, Sana Sayyad, Sangeeta Ghosh, Mansi Srivastava will be seen in the lead roles, we have also got an exclusive information that there is another actress who will be also playing the lead. She is One Night Stand actress Nyra Banerjee. She played the role of Simran Raisingh, Urvil's (Tanuj Virwani) wife. Divya Drishti is the story of two sisters, who are blessed with superpowers. While Drishti can see the future, Divya has an extraordinary ability to change it. While Drishti will be played by Sana, Divya will be played by Nyra. Nyra shared a post on her Instagram and expressed her gratitude towards the makers for bringing her on board. We hear, the actress will be visiting cities for promotions from today. She shared picture from the occasion and we guess is it her look from the show or not. While we have already seen Sana and Sangeeta's look, Mansi and Nyra's look are yet to be revealed. Also, Amit Dolawat has come onboard for the show opposite Rati Pandey and has revealed that he is extremely excited to open this grand show for Star Plus. It has been a tremendous shooting experience for him. His is very different when compared to whatever he had done and it is extremely exciting. He will be setting the base and crux of the show. Both of them will play a major part towards how the story will unfold. After Kaleerein, Arjit Taneja to be part of This Project. #FreakyFriday: Fans who got their favorite celeb's name Inked! Rati Pandey you are so cute missed you a lot .. please come back in a intense romance drama soon! Rati Pandey Plsss back on tv wid d bang I m sure ur show will be big hit on tv again.